Oklahoma Connection | Nihart first came to Oklahoma City to serve as superintendent of schools. The Window of Church Activity (known today as the Indian Window), located on the south side of the interior of the historic Y-Chapel of Song at the University of Central Oklahoma, was dedicated on July 18, 1945 to the memory of Benjamin Nihart’s outstanding leadership as a professor and mentor at the university. A graduate of Valparaiso University in his native Indiana, Benjamin F. Nihart had already served as a public school teacher, mathematics professor and superintendent of schools before coming to Oklahoma to fulfill the role of superintendent in Oklahoma City. He served in that role for three years before accepting professorships at Central State Teachers College (now the University of Central Oklahoma) and Oklahoma City University, where he also served as Dean from 1921 to 1931. 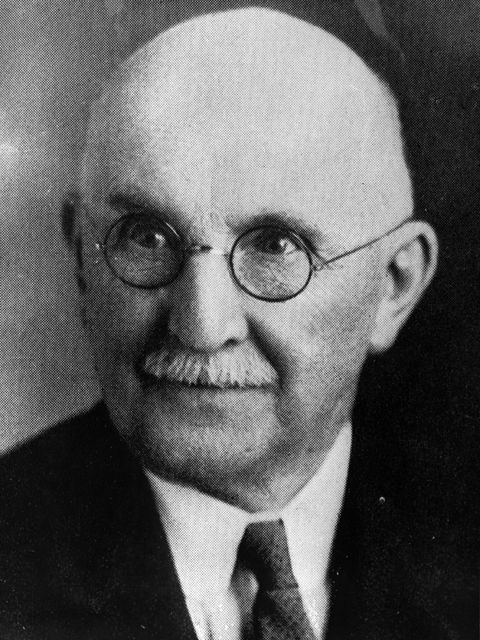 Elected as the 27th president of the Oklahoma Education Association (OEA) in 1917, Benjamin Nihart led the group in a complete reorganization of the teacher’s association and was responsible for appointing the committee through which a new OEA constitution was framed and adopted in 1918.